If you’re a teacher, you start the school year with a list full of things you want to accomplish with your students. If you’re a parent, that list may have started the day your child was born. Whatever it is you want to accomplish, now’s the perfect time to refocus, re-energize, and get started. 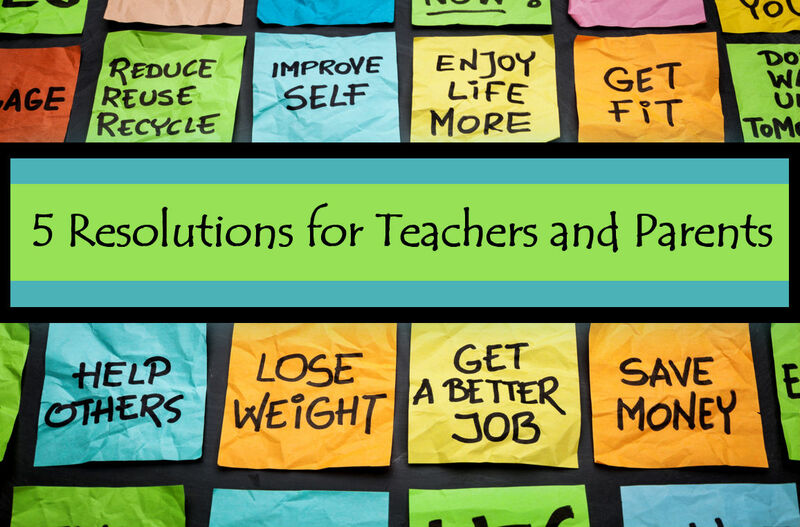 These resolutions for teachers and parents will help ensure that you, your students and children grow and excel in the new year. How well do your really know your students? What about your children? Have you taken time to just sit and chat with them lately? It’s easy to get caught up in everything that’s going on and forget that children simply want to spend time letting you get to know them. This doesn’t mean simply asking them to share their favorite color or their favorite foods, it means taking a vested interest in them, their friends, and the activities they enjoy. Both at home and in the classroom, give children time to express their feelings. Let them know they’re free to come to you to share their ups and downs. If they don’t come to you, go to them and encourage them to share. Make yourself a part of their daily activities too. If they’re going out with their friends, ask them questions about their friends and what they did. If they’re playing on a smartphone or tablet, spend some time playing along with them or monitoring their use. Not only will you make them feel important, you’ll also quickly know when something is not right. What’s filling your schedule this year? If you’re a parent, your days may be filled with juggling meetings, sporting events, and making time for your children to see their friends. If a teacher, you may fill your time with grading papers, writing engaging lesson plans, attending meetings, and then fitting in trips to the gym and family time once you get home. Despite your full schedule, it’s hard to say no to the requests that pour in. However, if you’re feeling stressed and overwhelmed, chances are your children or students are feeling stressed and overwhelmed too. Remember, you children don’t have to participate in every extra-curricular activity and you don’t have to attend every single meeting. In the classroom, you don’t have to try every new idea you hear or assign tons of homework that you’ll later have to grade. Instead, focus on a few key things and do them to the best of your ability. Not only will you feel less overwhelmed, you’ll help set a positive example for your children and your students. 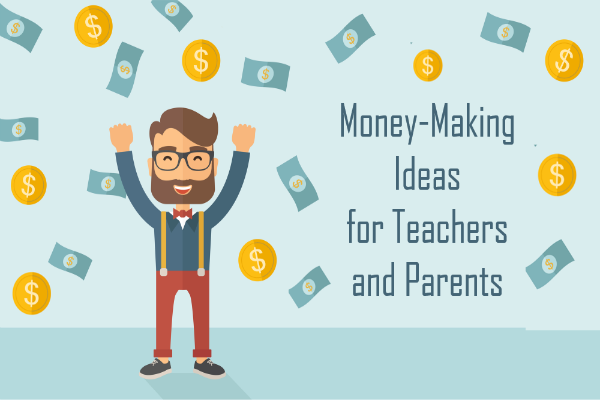 You live in a world that loves to make teachers and parents feel guilty for not doing enough. Viral videos and blog posts highlight teachers and parents making a difference in the lives of children all over the world. Facebook offers a place for teachers and parents to highlight every craft project, every good decision, and every milestone. Pinterest features thousands of pins to make you feel like you have to do it all. However, it doesn’t make you less of a teacher or less of a parent. Resolve not to feel guilty. You may not use every lesson idea or recipe you pin. Your Facebook posts may focus more on failures more than successes, and you may not make headlines for your achievements with your students and your kids. However, that doesn’t mean you’re not doing a good job. Instead of feeling guilty, focus on doing the best you can with the time, energy, and resources you have. You don’t have to do it all. As teachers and parents, sometimes you spend so much time listening to your children and your students that you forget to listen to yourself. Instead of tuning out your body and your mind, you need to take time to listen to yourself so that you can ensure you stay healthy and fulfilled enough to interact with children on a daily basis. Maybe your body is telling you that you’ve been staying up too late grading papers or that you have been eating too many meals on the go. Maybe your gut is telling you not to take that promotion at work or that you need to take a vacation. Teach yourself to listen to and follow these cues. After all, if you don’t listen to yourself it’s hard for anything else to fall into place. What other resolutions are you planning to stick with in the new year? Share them here and maybe inspire some others too! When it comes to traveling with children, sometimes it feels like the parenting world is split in two: those who absolutely believe in traveling with their children and those who absolutely don’t. If you find yourself in the latter group or somewhere in the middle, maybe it’s time to reconsider your stance. As an experienced travel parent who has exposed her daughter to 32 countries, I can tell you firsthand that traveling with your children is one of the best decisions you will ever make. Traveling with children teaches them to understand and accept people and things that are different. As they are exposed to cultural differences early in their life, they develop a sense of ease within these settings, and learn to understand and respect what other people and places look like and sound like, connecting with those different to them on a humanitarian level. This understanding of the other can then be applied to all people and places of the world. Suddenly their world looks very different, as they begin to understand these differences more than a child whose cultural understanding is limited to those humans that they come across at the corner park or local ice cream shop. Traveling with children expands their worldview. Even if the travel is domestic travel, it still teaches the children that other places, people, and ways of life exist. Children who travel know that the world is bigger than library story-hour. Developing bilingual skills from travel is one of the greatest gifts you can give your children. This is the gift of a skill that can be monetized later on in the workplace, but also one that allows for interactions with and understandings of a different culture, which, along with cultural understanding and global viewpoint, fosters confidence, and an intimate membership into the ‘other’ community, leading to friendships, opportunities, and a sense of belonging which would otherwise be off limits. Traveling with children allows them the opportunity to make more friends in different places and of different backgrounds. And as a child, isn’t the goal to have the most friends? Traveling with children grants them more opportunities, because they are familiar with more places and people, have a wider network of contacts, and understand that more jobs exist. It develops different abilities that are applied to the workplace, and further illuminates dreams and possibilities. Traveling is the best education. Wherever you travel to, education is all around. From calculating mileage or converting currency or weighing luggage to nature walks and ocean discoveries, cultural immersion, weather patterns, utilizing social skills, communication skills, history, and geography, there are many educational travel activities kids can enjoy. Traveling puts you around different people and places, and stretches your comfort zone with the unfamiliar. This leads to personal growth in terms of independence, responsibility, and comfort with foreign surroundings. When we see other parts of our state, country, or world, we begin to understand how other places operate, and their needs, challenges, and successes. We see what different places look like in terms of environments and cultures. As we explore and learn and see, we also connect, bond, and begin to develop and assume a sense of moral responsibility and obligation for challenges we see in the world, as collective humans. This changes our perspective on gratitude, materialism, and humanity, and encourages us to think and act for the collective whole, and make a difference in this world, sharing with those who have less, and helping those in need. Finally, the most important benefit of traveling with children is the ultimate lesson and value that it instills, which is cultivating compassion. The more we see, smell, feel, touch, and taste, the more we understand. And the more we understand, the more we respect. And the more we respect, the more we love. Traveling with children shows them that there are so many different ways to be, look, think, which in turn, if you are doing it right, instill ideals of eternal compassion, for our human race, and for our planet. Crystal Blue Savante is a cultural anthropologist, international educator, and worldschooler who has traveled the globe with her children. She runs the blog enlightened globetrekker. The summer months bring relief and joy for students, but also lots of free time to be filled. There is no better way to spend these hours and days than with a book, especially one that educates. Below are book recommendations based on age and genre that will help keep your child or student busy and engaged throughout the summer. Historical Fiction: “The Boy in the Striped Pajamas” by John Boyne. This acclaimed book introduces the Holocaust in a gentle manner and opens the door to discussion about such a sensitive topic. Mystery: Chasing Lincoln’s Killer” by James L. Swanson. This is a young adult version of “manhunt”, the same author’s account of the search for President Lincoln’s assassin. “Chasing Lincoln’s Killer” uses trial manuscripts and interviews to build a compelling and completely true thriller. 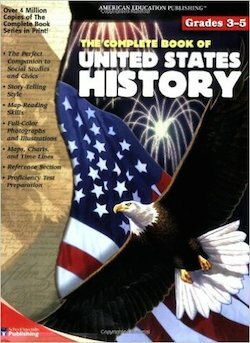 This updated edition of the bestseller that answers all of your questions about American history in a very entertaining way. 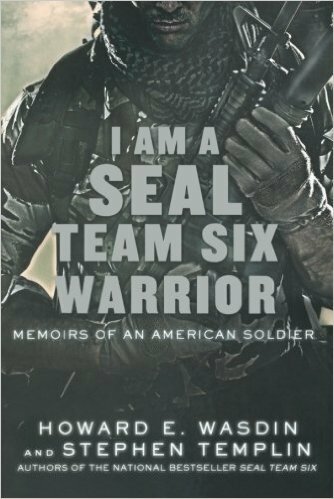 Learn the grueling training involved in joining the unit who found Osama bin Laden in this firsthand account from former Team Six member and author, Howard Wasdin. With illustrations on every page, Gombrich brings history to life for young adults. The summer allows students to learn at their own pace and explore topics that interest them. Interesting and educational books are just the recipe to feed a hungry mind. 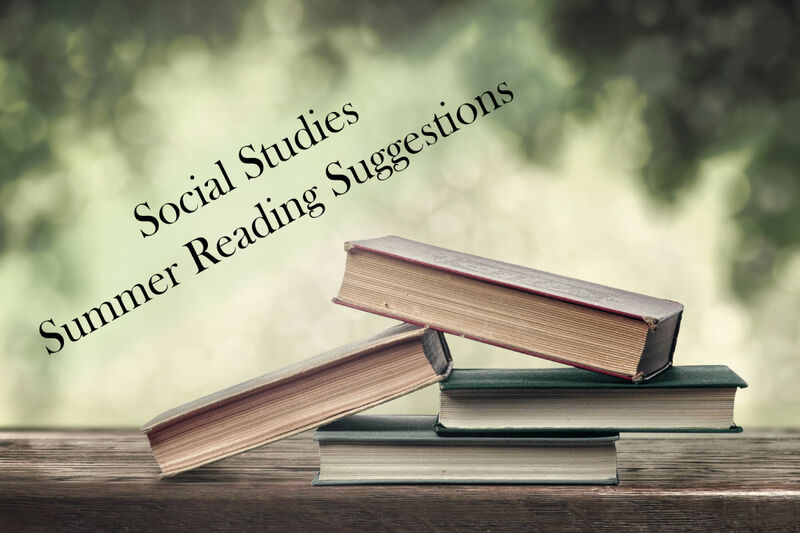 You can also get kids interested in Social Studies websites and movies to help keep them learning throughout the summer.Got other suggestions for this list? Share them with others by commenting below. For more life skills worksheets and resources for teens, check out Help Teaching’s Life Skills and Study Skills printable pages. We’re adding worksheets to them on a regular basis.